In the early 1940’s a group of ‘roughneck yankee’ oil miners secretly made their way to England setting up camp at Kelham Hall, Newark on Trent. They were tasked with drilling for oil in the surrounding area and producing the highly sought after ‘high octane’ fuel for allied planes and war ships. These gallant men were single handedly helping us dominate the skies of Britain and keeping enemy forces at bay. 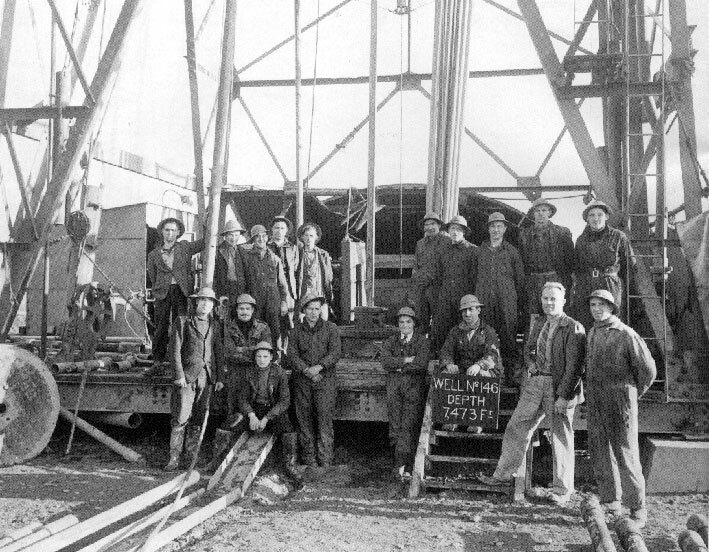 Over 100 wells were drilled in less than 12 months with over 3000 barrels of oil being produced daily to help the war effort. Churchill called it “one of the wars best kept secrets”. Our US friends left as quickly as they came, closing down sites where necessary or handing them over to English engineers when their contract ended. Initial investigations show our american miners actually found oil right in the heart of Kelham Hall! It appears though, this was their last drill rig spudded and for some reason they closed it up in a hurry?! Over 70 years later recent refurbishment at Kelham Hall by the new owners, have uncovered one such drill site right in the heart of the historic house! They are now dealing with a highly volatile RIG having been left to decay for decades and are calling in engineers to deal with the situation. They need your help. Early monitoring suggests a massive explosion is imminent, large enough to demolish the stately home entirely and likely to occur in just over 60 minutes! They are looking for groups of would be engineers, highly skilled in communications, team work and with physical and mental prowess under pressure. Your team must enter the facility, workout how to shut the RIG down and get out before the time is up. © 2018 LetsXcape. All Rights Reserved.